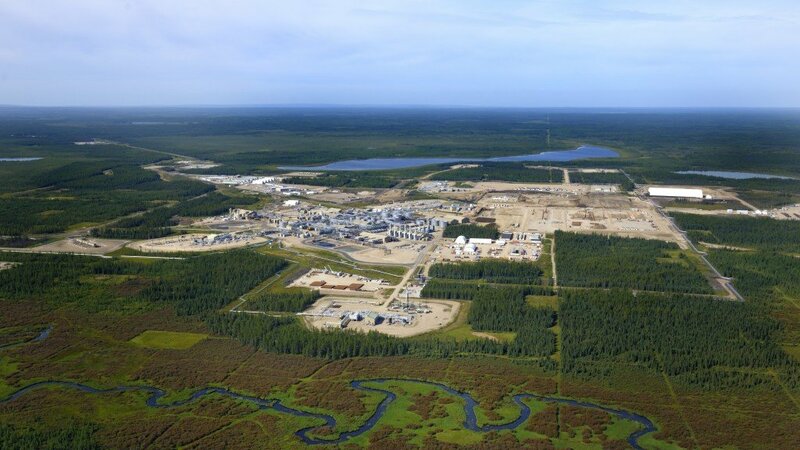 The structural improvements Cenovus has achieved at its oil sands operations have resulted in reduced costs for maintaining base production and adding new production and have positioned the company to create additional value with more efficient use of capital. Cenovus plans to invest between $1.2 billion and $1.4 billion in 2019, with the majority of the budget going to sustain base production at its Foster Creek and Christina Lake oil sands operations. The company also plans to complete construction of the Christina Lake phase G expansion. The 4% reduction in total planned capital spending, compared with Cenovus's 2018 forecast, is largely the result of efficiency improvements at the company's oil sands operations and reduced development plans for the Deep Basin as a result of the current commodity price environment. The structural improvements Cenovus has achieved at its oil sands operations have resulted in reduced costs for maintaining base production and adding new production and have positioned the company to create additional value with more efficient use of capital. Cenovus expects to continue to realize low per-barrel oil sands operating and sustaining capital costs in 2019. "We remain focused on delivering on our commitments to shareholders," said Alex Pourbaix, Cenovus President & Chief Executive Officer. "With our low cost base and strong operations, we already set the performance standard for the in situ oil sands industry. And, as a result of our recent efforts to reduce costs and maintain capital discipline, I believe we are an even stronger and more resilient company than we were a year ago, and are well positioned to create additional value and return cash to shareholders over the long term." Cenovus plans to spend 2019 sustaining capital of $575 million to $650 million, or $3.50/bbl to $4.00/bbl of installed capacity, to maintain base production at Foster Creek and Christina Lake. Cenovus made significant progress in strengthening its long-term market access position in 2018 through previously announced three-year strategic agreements with major rail companies to transport approximately 100,000 bbls/d of heavy crude oil from northern Alberta to various destinations on the U.S. Gulf Coast. The company has already begun shipping under these contracts and anticipates ramping up to 100,000 bbls/d through 2019 using Cenovus's wholly-owned Bruderheim Energy Terminal near Edmonton, Alberta as well as existing contracted capacity at USD Partners' oil-loading terminal in Hardisty, Alberta. The Bruderheim facility, which Cenovus purchased in 2015 to increase its transportation options, has current gross capacity of approximately 100,000 bbls/d, the majority of which supports third-party shipping. Cenovus plans to spend a moderate amount of capital in early 2019 to increase Bruderheim's gross capacity to 120,000 bbls/d. In addition to its rail agreements, Cenovus has firm capacity to the West Coast of 11,500 bbls/d on the existing Trans Mountain pipeline and 75,000 bbls/d of capacity to the U.S. Gulf Coast on the Flanagan South system. The company is also well positioned for future market access through its committed capacity on the proposed Keystone XL pipeline project and the Trans Mountain Expansion Project. Including Cenovus's net share of processing capacity at its jointly owned Wood River and Borger refineries in the U.S., existing pipeline commitments and plans to ramp up its crude-by-rail capacity, the company has the potential to protect between 55% and 60% of its forecast blended heavy oil volumes against the impact of low Western Canadian Select (WCS) prices. On December 2, 2018, the Government of Alberta mandated a temporary 8.7% oil production curtailment in the province, effective January 1, 2019. This measure is necessary to help reduce the relatively small oversupply of oil that led to record-high light-heavy oil price differentials and a collapse in the price of WCS in late 2018. The full-year impact of the government-mandated production cuts is not currently reflected in Cenovus's 2019 Guidance, which was published today. Based on preliminary estimates, the company expects combined January crude bitumen and crude oil production to be approximately 347,000 bbls/d. Once Cenovus has additional details about the implementation and duration of the curtailment plan, the company will provide an update on its production outlook for the year. Cenovus anticipates that the expected improvement in WCS prices as a result of the industry wide production curtailments will have a significant positive impact on its adjusted funds flow in 2019. Over the past year, Cenovus has demonstrated its ability to respond to low commodity prices by safely slowing production while continuing to inject steam and storing mobilized barrels of oil in its reservoirs. As a result, the company is confident that it can achieve the government-mandated production curtailment levels in 2019 without impacting the integrity of its reservoirs. Cenovus also has the ability to store produced oil in salt caverns located at its Foster Creek oil sands and Bruderheim rail-loading facilities. The Foster Creek cavern is already operational and the Bruderheim cavern is expected to become operational by the end of the first quarter of 2019. Cenovus has capacity to store nearly 3 million barrels of sales oil at the two facilities combined. With the expected start-up of Enbridge's Line 3 Replacement project and the ramp-up of incremental rail takeaway capacity in Alberta through late 2019 and into 2020, the company expects differentials to be at more historical levels through the balance of next year. Cenovus benefits from having best-in-class in situ oil sands assets, with top-tier resources and industry-leading steam to oil ratios and low operating costs. As a result of improvements achieved over the past few years, the company's oil sands facilities continue to demonstrate the ability to deliver safe and reliable operational performance at reduced cost, which will continue to be a focus in 2019. Cenovus plans to spend 2019 sustaining capital of $575 million to $650 million, or $3.50/bbl to $4.00/bbl of installed capacity, to maintain base production at Foster Creek and Christina Lake. Approximately $100 million to $125 million has been allocated to complete construction of Christina Lake phase G, which has approved capacity of 50,000 bbls/d. Phase G is proceeding very well and is expected to be completed with full-cycle capital efficiencies of between $15,000 and $16,000 per barrel of capacity, which is industry leading. Phase G remains on track to begin production in the second half of 2019, assuming mandated production curtailments have been lifted. This coincides with the expected ramp-up of significant crude-by-rail takeaway capacity in Alberta and the potential start-up of Enbridge's Line 3 Replacement project. Cenovus will continue to monitor oil price differentials and takeaway capacity to determine the optimal timing for the start-up of phase G. The company also plans to spend a minimal amount of capital on Foster Creek phase H, Christina Lake phase H and Narrows Lake to continue to advance each one to sanction-ready status. Cenovus will continue to focus on maintaining its position as an in situ cost leader. In 2019, the company expects total per-barrel oil sands operating costs to increase slightly compared with its 2018 forecast. The increase is mainly associated with the expected start-up of Christina Lake phase G, including higher initial steam rates, and planned maintenance at Christina Lake in early 2019. Companywide per-barrel operating costs are expected to remain essentially in line with Cenovus's 2018 forecast. The company is forecasting average oil sands production of 377,000 bbls/d to 395,000 bbls/d in 2019, a 3% increase at the midpoint compared with the midpoint of its forecast for 2018, largely due to the expected start-up of Christina Lake phase G, offset by planned turnaround activity at Christina Lake. Cenovus conducted minimal turnaround activity in its oil sands business in 2018. Forecast production for 2019 does not currently include the impact of mandated production curtailments scheduled to take effect on January 1, 2019. Through its 50% ownership in the Wood River and Borger refineries, approximately 25% of Cenovus's blended oil production is mitigated against the impact of light-heavy oil differentials. Cenovus has a large land base in the Deep Basin fairway in northwestern Alberta and northeastern British Columbia with high-quality producing and development assets. Initial well results following the company's modest 2018 drilling and development program have been very encouraging. However, in response to the current commodity price environment and the company's continued focus on near-term debt reduction, Cenovus has reduced its investment and drilling plans for the Deep Basin in 2019. Over the course of the year, the company will be working to optimize its operating model in the Deep Basin, with the goal of reducing costs, improving efficiency and maximizing value. Cenovus plans to invest between $50 million and $75 million in the Deep Basin next year, with minimal capital allocated to drilling and completions activities. Production is expected to be between 95,000 barrels of oil equivalent per day (BOE/d) and 105,000 BOE/d in 2019, down 17% from forecast 2018 levels, mainly due to asset divestitures in 2018 and natural production declines that reflect the reduced capital spend in late 2018 and 2019. The company made good progress in reducing operating costs in the Deep Basin in 2018 and expects to make further improvements to hold per-barrel operating costs essentially flat next year compared with its 2018 forecast, even as production declines. As a result of consistently strong operating performance and high utilization rates at Cenovus's jointly owned Wood River and Borger refineries in the U.S., which are operated by Phillips 66, the refineries have each been rerated to reflect higher processing capacity. Crude capacity at Wood River was rerated to 333,000 bbls/d from 314,000 bbls/d, while capacity at Borger was rerated to 149,000 bbls/d from 146,000 bbls/d. The new capacity ratings take effect January 1, 2019. Through its 50% ownership in the Wood River and Borger refineries, approximately 25% of Cenovus's blended oil production is mitigated against the impact of light-heavy oil differentials. When differentials are wide and Canadian heavy oil prices are discounted, the company's refineries benefit from a feedstock cost advantage. Because refined product pricing is correlated to Brent Crude, the company also benefits when Brent is priced at a premium to West Texas Intermediate (WTI). Cenovus's refining assets have consistently demonstrated value through their ability to generate significant free funds flow when Canadian heavy oil prices are low, helping to offset the pricing impact on the company's upstream assets. In 2019, Cenovus plans to spend $240 million to $275 million on its Refining and Marketing segment, with approximately half of the capital going towards base maintenance, reliability, and safety projects and the remainder going towards projects focused on improving yield and profitability. Cenovus anticipates 2019 general and administrative (G&A) costs of $1.91/BOE compared with its 2018 forecast of $1.87/BOE. Total G&A costs for 2019 are expected to be between $325 million and $350 million, consistent with the 2018 forecast. As part of its plan to increase workspace efficiency while reducing overall real estate costs, Cenovus expects to move all of its Calgary based staff into Brookfield Place over the course of 2019, starting in January. The company has allocated approximately $100 million next year to essentially complete the build out of the Brookfield Place office space. Cenovus remains focused on reducing its real estate costs through an active subleasing program and is not renewing existing Calgary office leases as they expire. The company recently made significant progress in reducing its long-term fixed real estate costs by subleasing additional floors of The Bow. To date, the company has subleased approximately 40% of its space at The Bow and will focus on subleasing additional excess office space as staff transfer to Brookfield Place. While the budget for technology development in 2019 remains modest, Cenovus continues to advance key strategic initiatives that are expected to provide both cost and environmental benefits and are aligned with the company's long-term goals. This includes ongoing work on solvents, partial upgrading and advancing Cenovus's new oil sands facility design. Initial progress on these initiatives has shown promising results, and if implemented commercially, the technologies have the potential to significantly reduce Cenovus's costs and greenhouse gas (GHG) emissions intensity. The company expects to be able to more fully pursue these advancements once the balance sheet improves and there are funds available to invest in these value-add projects. In addition, Cenovus is investing in upgrades to the company's information technology systems to improve productivity and reliability and take full advantage of data analytics and automation opportunities. Cenovus remains committed to reducing its GHG emissions intensity over time and is tracking emissions on its corporate scorecard to encourage continuous improvement. Since the company's ability to make meaningful strides towards reducing its GHG emissions intensity is largely dependent on future capital investment in technology, Cenovus is not setting a specific target or timeline for additional emissions reductions at this time. Cenovus has made significant progress in deleveraging its balance sheet in 2018 using free funds flow and proceeds from the sale of its Pipestone business in the Deep Basin in September for $625 million, before closing adjustments. As part of its continued focus on deleveraging in 2019, the company will continue to prioritize reducing debt through free funds flow from its low-cost operations and proceeds from potential additional sales of non-core Deep Basin assets. Given the challenging commodity price environment, Cenovus does not have a specific timeline for achieving additional divestitures and will pursue transactions in 2019 only if they generate strong value for the assets involved. S&P Global Ratings recently affirmed Cenovus's credit rating at BBB and improved its outlook to stable from negative, citing the company's consistently strong operating performance, competitive cost structure in its heavy oil focused upstream segment and the strong cash flow from its joint-venture ownership of the Wood River and Borger refineries. Cenovus continues to maintain three investment grade credit ratings and is targeting a long-term net debt to adjusted earnings before interest, taxes, depreciation and amortization ratio of less than two times. Cenovus has not added any new corporate commodity hedges during the fourth quarter. As of December 10, 2018 the company had 19,000 bbls/d of WTI collars in place for 2019, with a floor price of US$50.00/bbl and upside participation to US$62.08/bbl.